We recently received at GPL two books of stunning nature photography – Rainforest by Lewis Blackwell and Creatures of the Deep: In Search of the ea’s Monsters and the World They Live In by Erich Hoyt. Take a moment to look through a few of the photos from these oversized books. We really do live on a beautiful planet, and both of these books serve to remind us that its our responsibility to make sure it stays that way. Rainforest by Lewis Blackwell (591.734 Blackwell) is full of gorgeous full page and even centerfold photographs of the world’s jungles and their flora and fauna. Curiously, while information is given as to the agencies the photos were licensed through, individual photographer credits are not given, so we can’t provide photographic credit for these photographs in this space. 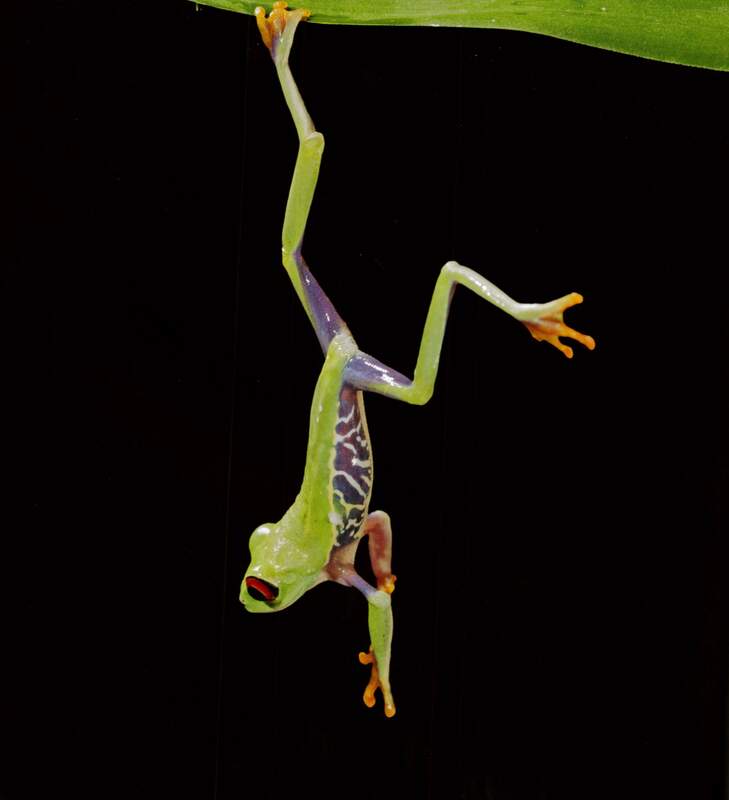 All photos from Rainforest were licensed via Tim Flach, Nature Photo Library, Ardea, or Getty Images. 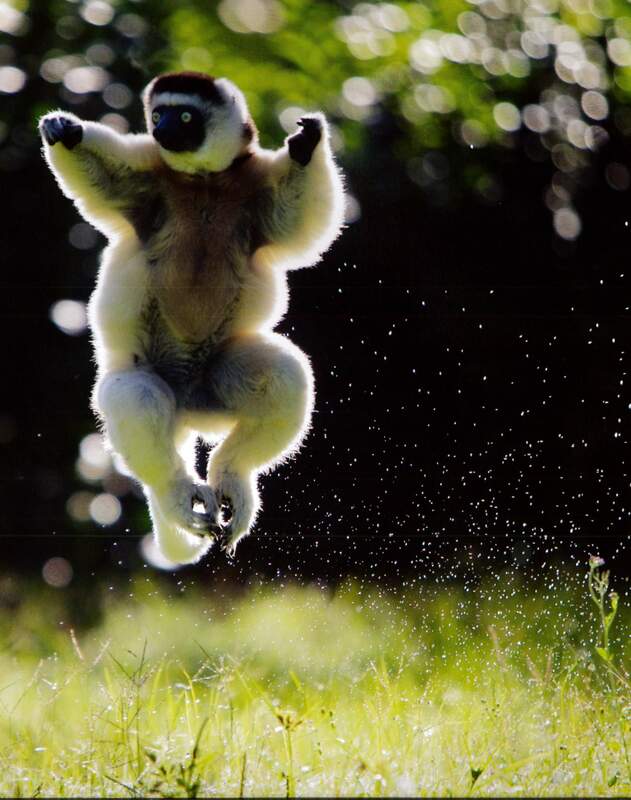 A lemur leaps off the ground in Madagascar. The spray of dew reminds me of jumping on a wet trampoline. 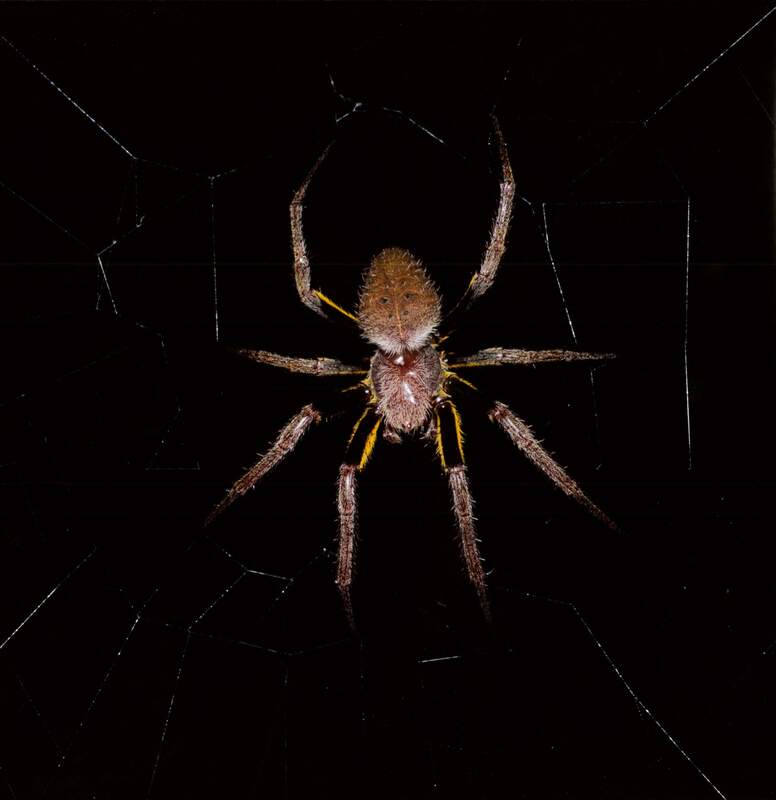 A tropical orb weaver sits on its web at night. I have always been fascinated by spiders and refuse in all but the most dire situations to kill them inside the various residences I have lived in, which has not always been appreciated by my housemates. That said, I have no interest in walking into a large web stretched between trees in a rainforest. A lovely waterfall in an undisclosed location. Scenes like this set the mind wandering on adventures, don’t they? A red-eyed tree frog maintains a tenuous grip on its perch. Hang on, little buddy! 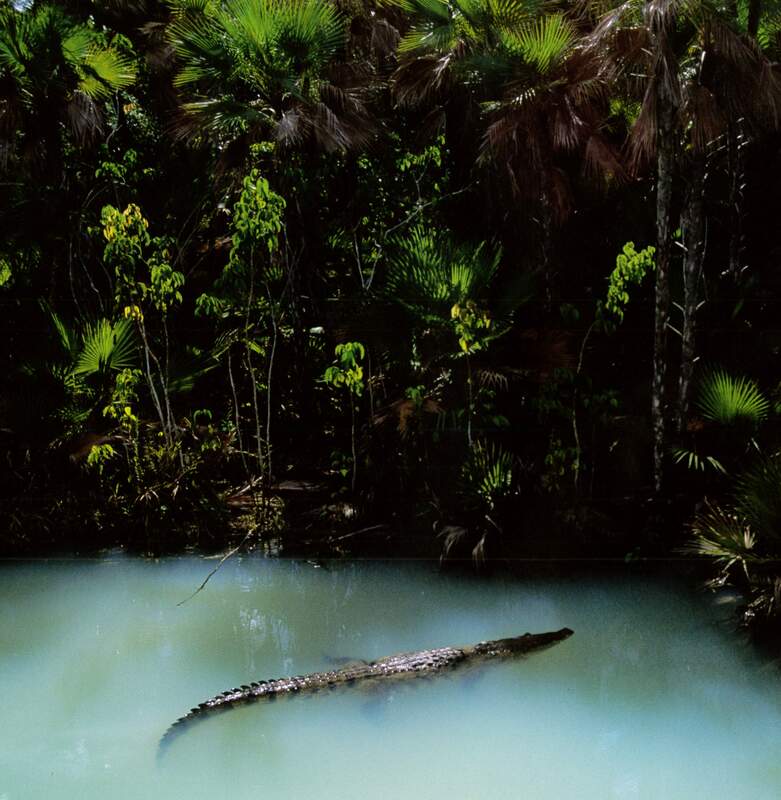 A crocodilian lounges in a primordial hollow with verdant vegetation providing shelter. When I see something like this I think of Indiana Jones movies, a board game I played as a killed called Fireball Island, and countless adventure books I read as a kid. It’s amazing to think settings like this still exist on our progressively more crowded and polluted planet. 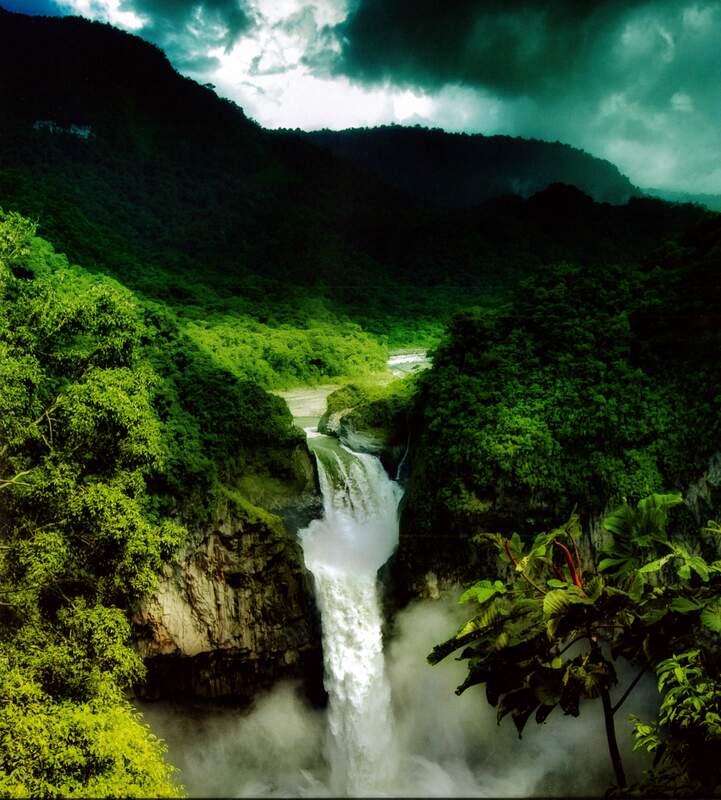 The photos in Rainforest are interspersed with quotes from naturalists, biologists, and environmentalists. 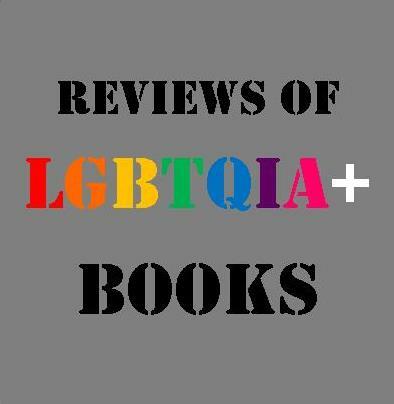 These quotes are isolated on otherwise blank pages, allowing us to ponder their truths. Some provide fascinating information, such as this one by the author – “Ninety percent of rainforest life happens in the canopy, nearly half of all the species on the planet.” Some give us environmental admonishments, such as this one from Dr. E. O. Wilson – “The question is, will we wake up?…Once they’re gone, they’re gone forever.” Rainforest is a beautiful and fascinating book for any lover of nature, young or old. Check this one out today. 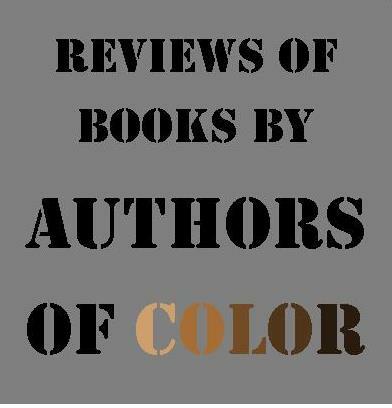 Creatures of the Deep: In Search of the Sea’s Monsters and the World They Live In by Erich Hoyt (591.77 Hoyt) allows us to enter a world we would never be able to explore on our own – the diverse and often bizarre ecosystem that exists beneath the surface of the oceans. Many species that live in the deep reaches of the oceans seem more like aliens from another planet than something that lives here on our own, and new species are being discovered constantly. Most of the Earth’s surface is covered by these salt water expanses, and Creatures of the Deep gives us the chance to peek beneath the waves at a world of wonder. 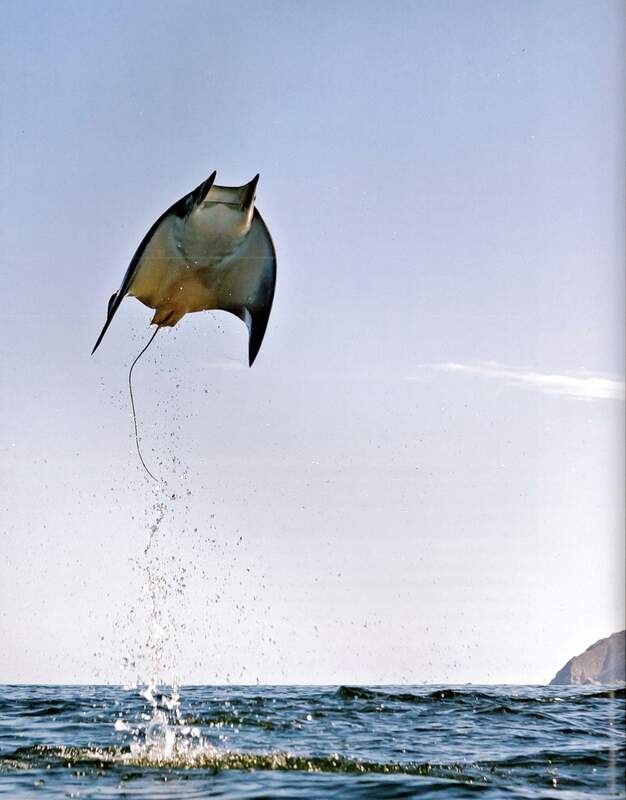 A smoothtail mobula in Cabo Palmo National Marine Park off northern Mexico. Photo by Octavio Aburto. 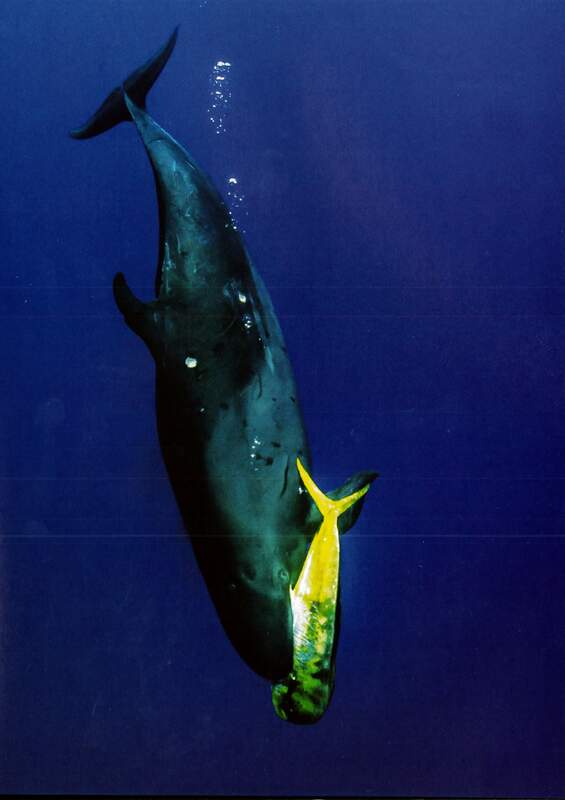 A false killer whale grabbing a grown mahimahi, or dorado. Photo by Deren Verbeck. 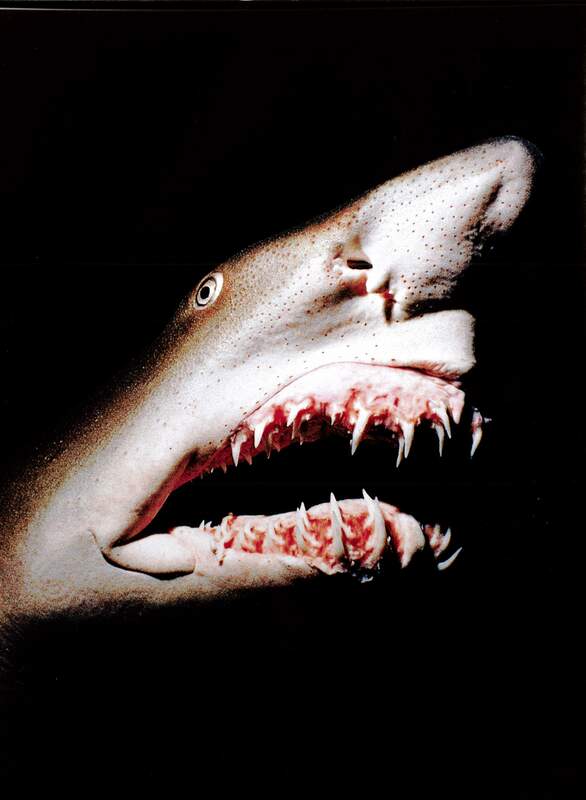 A sand tiger shark, or gray nurse shark. Despite their formidable appearance they have never caused a human death. Photo by Jeff Rotman. 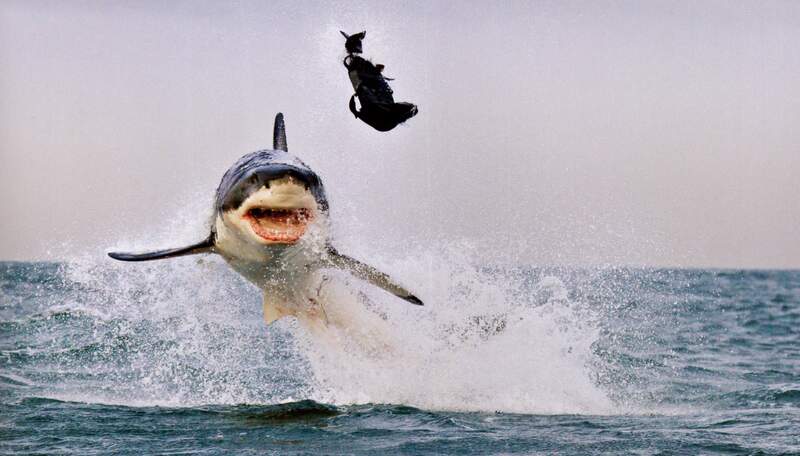 A great white shark leaps out of the water in False Bay, South Africa, in an attempt to grab its prey. Photo by Juan Carlos Munoz. 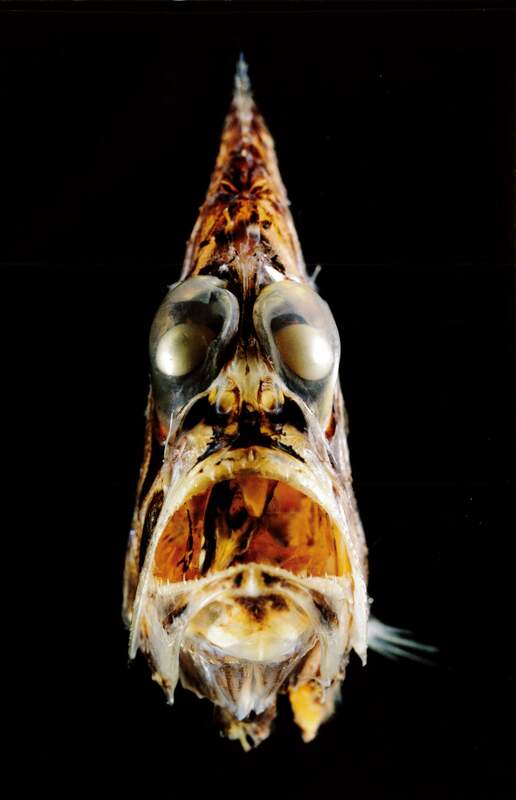 The Pacific hatchetfish climbs from its home in the deep each night to consume plankton in shallow water. Photo by Solvin Zankl. 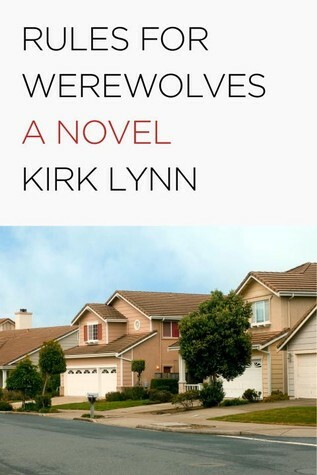 You can find both of these books at Greenville Public Library.